This year’s big news was that after several years of development, Software MacKiev released Family Tree Maker 2017 for Mac and Window users. 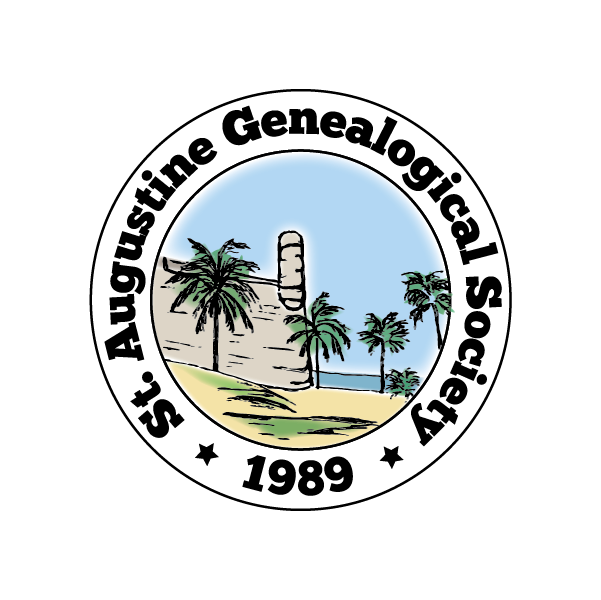 The St Augustine Genealogical Society is excited to welcome Judy Wright back to bring us up-to-date on this new version of FTM, which makes it easy to quickly build & update your family tree, as well as enhance it with charts, reports, photos and more. This software also enables you to view family history timelines and create interactive maps of important locations in your ancestors’ lives and track migration routes. Judy Wright will also give us her favorite “Tips & Tricks” for using Family Tree Maker 2017. Judy Wright is retired from two careers. She was a foreign language teacher in Palm Beach County for 27 years. She then worked in the legal profession for 11 years, first as a translator and legal secretary, then as an IT professional. She became interested/passionate about genealogy about 20 years ago. It’s rumored she took early retirement from the law firm so she could spend more time climbing the family tree. She is also the webmaster and past president of the Marion County Genealogical Society. Join us on Saturday, October 21st, at the Southeast Branch Library located at 6670 US 1 South, St. Augustine, FL 32086. Check-in begins at 12:45pm and the meeting starts at 1:oopm. Society meetings are free and open to the public. Judy Wright returns for our March meeting to bring us up-to-date on all the genealogical goodness found in the new Family Tree Maker program. Join us on Saturday, March 18th, at the Southeast Branch Library located at 6670 US 1 South, St. Augustine, FL 32086. Check-in begins at 12:45pm and the meeting starts at 1:oopm. Society meetings are free and open to the public. Join us on Saturday, November 10th, when Judy Wright will bring is up-to-date on Family Tree Maker. She will cover the transition from the Ancestry.com Family Tree Maker (FTM) software to MacKiev 14.1 FTM . Judy Wright’s intention is to relieve anxieties for anyone concerned about the transfer of this software to MacKiev. Then she’ll have some fun with an overview of the major features of FTM 14.1 and reveal some “hidden” gems in the software. Judy Wright is retired from two careers. She was a foreign language teacher in Palm Beach County for 27 years. She then worked in the legal profession for 11 years, first as a translator and legal secretary, then as an IT professional. She became interested/passionate about genealogy about 20 years ago. It’s rumored she took early retirement from the law firm so she could spend more time climbing the family tree. She was a volunteer alpha tester for Family Tree Maker for 9 years, and is now a beta tester for Software MacKiev, the new owners of Family Tree Maker. She is the webmaster and outgoing president of the Marion County Genealogical Society.